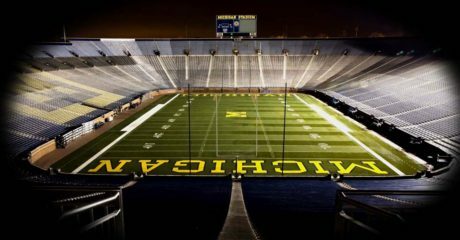 Bayern (Germany) defensive end Julius Welschof committed to Michigan on Wednesday morning. 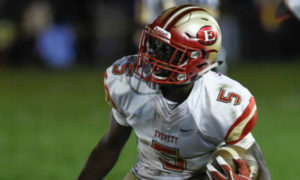 He had previously been committed to Georgia Tech, and he also had offers from Iowa State, Minnesota, Rutgers, Syracuse, and UCF, among others. Welschof is listed at 6’6″, 248 lbs. Hit the jump for more on Welschof’s commitment. 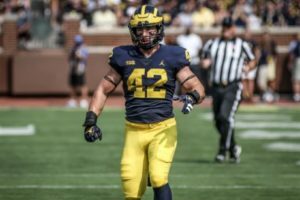 Welschof camped at Michigan this summer, and I posted a bit about him at the time. 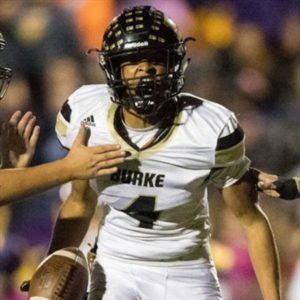 After that he fell off the Michigan recruiting radar, even though he started picking up offers from several FBS programs. 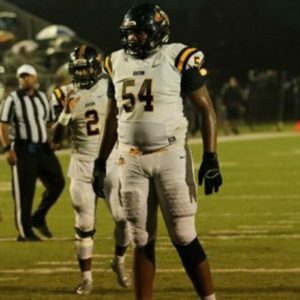 He committed to Georgia Tech, but a recent offer from Michigan caused him to rethink his choice. The other FBS schools listed above aren’t anything to shake a stick at for a guy coming from Germany, but Michigan is clearly the best overall program of the bunch. First of all, Welschof has a huge frame at 6’6″ and 248 lbs., and he still has a lot of room to grow. He hasn’t quite filled out, and maybe that’s partly because he just doesn’t live in an area where players live and breathe football. He runs a 4.73 forty, and he broad jumps 10’2″. You can also see in his film that he changes direction very well for a guy who’s 6’6″, especially one who doesn’t know how to consistently play low. The athleticism is there to be a very good player. Technique-wise, Welschof looks like a JV football player. He stands straight up, he’s slow to read blocks, he’s not violent with his hands when engaging blockers, etc. If you’re a quality FBS recruit in the United States, the vast majority of guys have been coached out of these habits by the time they hit high school. Welschof has a long ways to go. Overall, this is basically the definition of a boom-or-bust pickup for Michigan. On the plus side, his potential is totally untapped as a 6’6″, 248 lb. player. 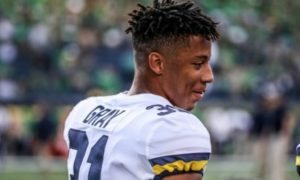 Improved technique could turn him into a star, and he could be the subject of some good press if he contributes as Michigan. 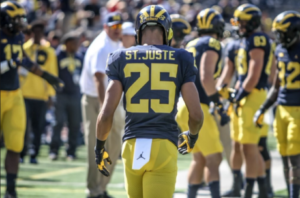 You can imagine ESPN and Fox putting together vignettes on how he came to be playing at Michigan. On the negative side, he’s already 20 years old and if he doesn’t clean up his technique, he won’t even sniff the field. 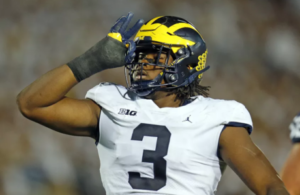 I’m on the record as saying that Michigan has some of the best defensive line coaching in the country, and I believe defensive line coach Greg Mattison and defensive coordinator Don Brown can help him reach his max potential. It won’t happen immediately, but I think Welschof will be a good player down the road. Physically, he reminds me of former Michigan (and current Baltimore Ravens) defensive end/tackle Chris Wormley. 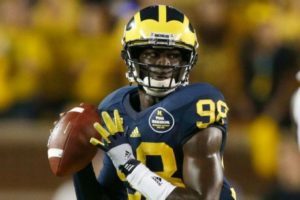 Michigan now has 19 commitments in the 2018 class, and that puts them at 89 scholarship players scheduled to be on the roster in 2018. At least four guys will have to depart in order to make this thing work. 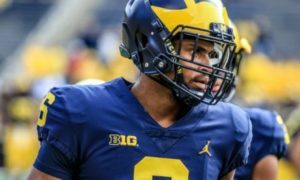 Welschof will almost certainly redshirt while he sits behind Rashan Gary and others at the strongside end position, and 3-tech could also be an option, depending on how his body fills out. This dude is going to learn the game from the best then go back home to Bavaria and become a Hall of Fame Cowboy. hmmmmm wonder why he wanted to attend Michigan??? Check out their Emblem……..
That’s some funky football going on there. And not in a Parliament kind of way. Actually, not even in a Kraftwerk kind of way. Those HUDL videos look like the colorized WW2 footage from the History Channel. Doesn’t remind me of Chris Wormley too much. They both have excellent athleticism. Chris Wormley was dominating people with a little more strength at this point in his career. This kid looks fast. I can see what you mean with aggressiveness with use of hands, even at the OSU camp in non-contact drills. With his measurables, athleticism, and Greg Matteson, I see this kid developing to a late 2nd round prospect. There are some DE prospects (e.g. Ryan VanBergen, Tom Strobel, Brennen Beyer) that at this point in their career, it doesn’t seem like they have the athleticism to be better than a 6th round pick or UDFA. Even with their 4 star rankings. Even though I understand the bust, I’m thinking he’ll lean more towards boom. Wormley wasn’t really dominating people with power as a senior. He had kind of a disappointing senior year. Wormley was also very quick before he added weight. He ran a 4.86 forty at 298 lbs. during the pro day at Michigan. Strongly disagree with this just as I strongly disagree with the idea that Gary was in any way disappointing. I think expectations for SDE are a little out of whack. Wormley was 1st team all conference and named the team’s best DL in both 2015 and 2016. He was drafted in the 3rd round. I don’t think a Mattison SDE is supposed to put up big stats. He’s supposed to shut down the run game, push the pocket, maintain the edge, etc. Not a pin-your-ears-back passrusher like in other defenses. More like a DT than a WDE – as Mattison has said repeatedly. Sorry, but hearing the words “boom-or-bust”, “great upside”, “under the radar” “diamond in the rough” and “I trust the coaches” about too many guys in this class. Sure, everybody takes a flyer on a few guys, but this class seems to be top-heavy with projects. Not sure why it needs to be. 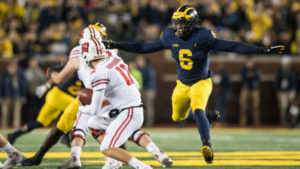 Is this the best Harbaugh can do after 3 years? I think criticism of this class if fair. I do think you can cut some slack for a lack of available playing time and acknowledge that this offense isn’t super attractive right now to any non-TE. Most roster needs have been met. Still, that doesn’t excuse the lack of blue-chip OL. I think you can make a case that they should have landed at least one high end DT and DE as well but those have been swing-and-miss. True high-end RB recruits continue to elude this staff (don’t talk to me about Walker’s ratings please) and they whiffed on their top choices at QB too. They wanted that Jobe kid bad and did some settling at DB in general (beyond Sims). Some sleepers are fine but when you only get 2 blue-chip players (Sims and Muhammad) that’s a weak class. [Pending Reese, Petit-Frere and a few others]. Even if the number was 4 or 5 that’s still pretty soft for an elite program. Including Muhammad on this list is debatable also. You have two 4 star OL guys coming in. I you want 20 linemen on scholarship, I suppose thats not enough. 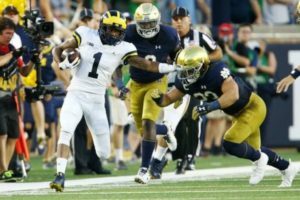 Michigan has 15, including Hayes and Mayfield. We’ll see where Goss, Patterson, Petit-Frere, etc. end up. 15 is getting thin. 16-18 scholarship OL is preferable (Lank would say more, I know, agree to disagree). Yes, the success rate of this coaching staff has been underwhelming at that position group, but at some point, you may be throwing good money after bad. It’s a zero-sum game, and you have to try to optimize all positions. I haven’t heard anyone make a good case of where my proposed roster makeup is lacking. The only gripe I’ve seen is for a 5th RB. I don’t think I ever saw it in detail, but I think it would be very difficult to show objectively that one scholarship allocation would work better than another in the real world of college football. Too many factors that are hard to control to make it more than a matter of opinion. Allocating 85 scholarships to placekickers would probably not work but I guess I can’t “show objectively” that is unequivocally true so it’s just an opinion. This used to be a place where a good debate could be had. Steadily things have deteriorated. Argue too much? No such thing for me. I’ll go all week, month, year on good topic with cogent points being made. That’s not what’s happening here anymore with your Thunder. Now just straight up insults. This ‘customer’ demands a refund. Oh, there it is. My $0 are back in my bank account. Thanks very much. A+ to the refund department but the rest of the staff gets an F for being rude, unappreciative and insulting. I’ll be sure to check your blog again to see which RBs you endorse so I can know who is going to disappoint badly. Well, I thank you kindly for the $0 you have contributed to the site during your 3,600+ posts here at TTB. I also want to thank you for blessing us by being the only cogent point-maker available to keep us all from going astray. I hope you have a wonderful holiday season. People have made the good case over and over, you can’t accept it. A 4-star is an average recruit if we are talking about powerhouse programs. So our offensive line recruiting is average for a powerhouse program. Yes. Talent isn’t the problem and has never been. It’s about development. 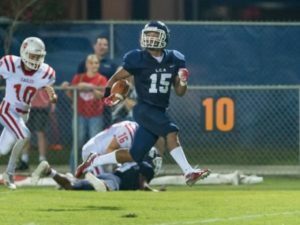 Two ways to fix it – better coaching or more recruits. Doing both is your best bet. Both OLs we have coming in are undersized projects who won’t be ready until at least their 3rd year, if then. And in terms of numbers, we only have 2 out of 19, which is proportionally low. Mayfield is bigger than Lewan was as a recruit. 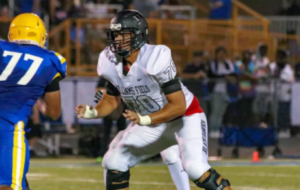 6’7″ 250 in the spring of one’s 17th year, is far from undersized. Our recruits are far from undersized, what they are is not fat. How do you define “Blue Chip”? Except, the question is how do you, Lanky define it. i definitely know it when I see it. 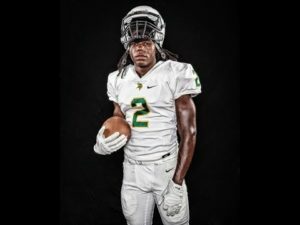 National recruits we are beating multiple top-tier programs for – this list is OSU, Alabama, FSU, Notre Dame, USC, Georgia maybe a few more. Recruits with offers from multiple elite programs all over the country. 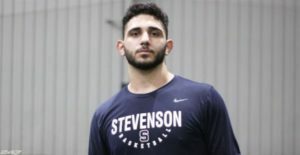 Look at the offer lists for Sims and Muhammad. Now look at Hutchinson’s. Not all 4-stars are alike. 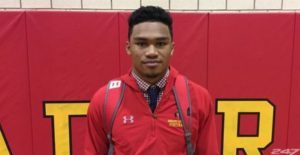 A guy like McGrone has offers from ND and OSU — but nobody big outside of the regional footprint. I wouldn’t call him a blue-chipper. Milton – you could make a case for but his composite rank is pretty meh so the sites disagree and who knows about how comittable some of those offers are. Sims and Muhhamad yes. Milton – meh. Everybody else is clearly not what I would call blue-chip. Compare to last year. 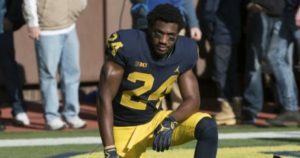 DPJ, Solomon, Ruiz, Anthony, Singleton, Thomas, Jeter, Kelly-Powell, Collins…. 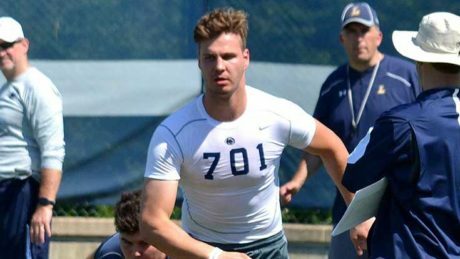 McCaffrey doesn’t technically fill the bill but for a prostyle QB to gets offers from Duke, Stanford, Washington, PSU puts him closer to blue-chip than Milton IMO. This team is frankly a long way from having so much talent that they have to take a break from signing elite players. To be an elite program, you have to put more top talent in the pipeline every single year, so you can simply reload when talent leaves (especially if it leaves early or unexpectedly). You’re not going to be elite if every third year you’re “young” or “rebuilding”. Anyway, I’m agreeing with you. 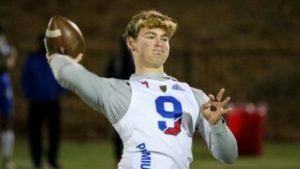 Not necessarily from the perspective of rankings of any kind, but just landing the blue-chip recruits (by this I mean the guys we are beating multiple top-tier programs for – this list is OSU, Alabama, Notre Dame, USC, Georgia maybe a few more). People in the fanbase acting like Otis Reese is a great prize but Georgia apparently doesn’t even want him. Hope I’m wrong, but I don’t see it. He’s 20, how is he going to pick up so much-so fast, while holding off stern competition ahead of (and hopefully coming in after) him? I’m not really worried about the age thing. You’re still capable of learning at that age. 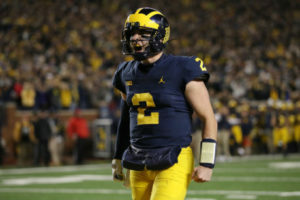 He could be 24-25 years old by the time he leaves Michigan, and you hit your athletic prime around the age of 27. You seem really negative about this. I don’t think you should be. A. He still has up to 5 years of eligibility left. B. People keep improving beyond 21/22 – that’s why you see so many NFL draft picks take time to see the field. Peak performance is usually around 26-28 years old. If anything it’s an advantage.The maturity should help for his time at Michigan, both from physical and mental perspective. Many LDS kids use their age to their advantage for BYU/Utah and other programs. The only thing I would worry about here is the extent that he has english. If he has a command of the language, the football language should happen.. If you watch his commitment video, he seems to speak English pretty well. Yeah, I was pretty happy about that.